Captain Jamie Callahan knows the Metahuman Defense Force frowns on fraternization. For once in his life, he’s breaking all the rules. Having Staff Sergeant Kyle Brannigan on his team and in his bed is worth the risk of being found out. When a mission comes down requiring Alpha Team to go undercover in order to infiltrate a criminal alliance, Jamie knows it won’t be easy. Putting his family’s name on the line is nothing compared to the role the MDF wants him to play. Federal Judge Tom Brewer is finally putting the pieces of his life back together. In the closet for 25 long years, he's climbing out slowly, and, with the hope of finding a special relationship with the stunning Mike Lucciano, US Marshal assigned to his DC courthouse. He wants to be out and proud, but he can't erase his own past, and the lessons he learned long ago. A devastating terrorist attack in the heart of Washington, DC, and the capture and arrest of the terrorist lead to a trial that threatens to expose the dark underbelly of America's national security. 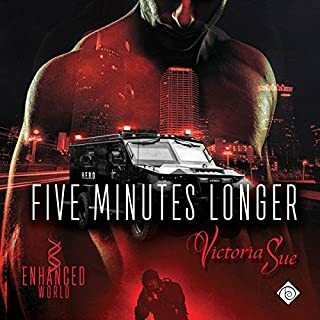 The Russian president is gravely injured and fixated on revenge, while a gay Russian dissident is arrested and put on trial in Judge Tom Brewer's courtroom. 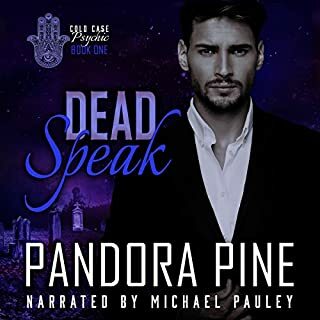 As Russia beats the drums of war and the United States struggles to contain the trial before it races out of control, secrets and lies, past and present, collide in his courtroom, before his bench. 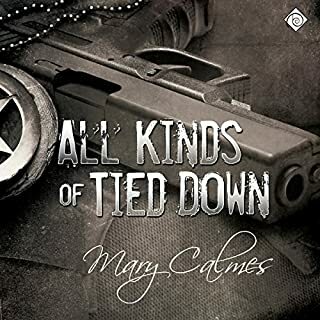 With the world's attention fixed on Tom and this case, secrets from his past explode during the course of the trial, which place him at the very center of the case and make him the only man who can try to stop the world's slide into war. I liked this story once it got over the introduction. The narration was a bit over the top at time, breathless and gushy. A little hard to believe, almost made me not want to listen further. Overall a reasonable listening experience. This author is new to me but I am now a BIG fan. 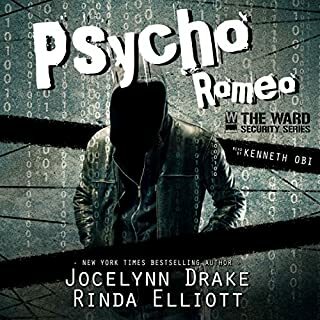 For a lot of m/m romances the plot is purely focused on the relationship struggle or/and the fight to come out but this story takes that and does it on an epic stage. It also keeps you guessing about the big W's (who, what, ect) until almost the end. I'm in love with this author and their story weaving skills. Joel Leslie again knocks it out of the park. Taking a great book and bringing it to life. Just one more example of why if he performs it I have to at least try it. Amazing performance by Joel Leslie. Joel Leslie does such a fantastic job with character voices that I sometimes forgot it wasn't an ensemble! To kick things off, let me start with saying that, Hush does not have the same feel to it as The Executive Office had. This book is something entirely different. It's gentler in a way and not as fast paced or explosive. Stakes are still high and the world is watching, but overall, the main focus of the first part of the book remains on the budding relationship between Tom and Mike. This book can be divided into two parts, the before and the after. The first half or so of the book reads like a contemporary romance. We get to know both Tom and Mike, who they are. We are there when a tentative friendship starts to form, when they realise they want something more. We get to know them, their wants and their fears, and play with Etta Mae. Tom is a newly appointed judge, actually nicknamed the baby judge. After spending 25 years alone, he's starting to realise he wants more, deserves more. He wants someone to come home to, to share his life with. But lessons learnt in the past tell him this is impossible. 🔊 He was at a crossroads, stuck trying to figure out where to go. His professionalism demanded one choice, and his heart and soul another. You can feel the struggle Tom is going through. 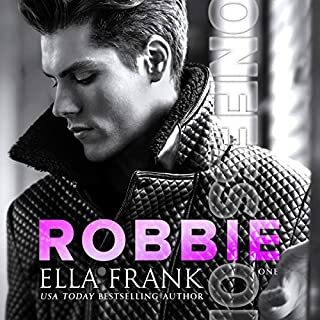 He's hidden his true self for most of his life, and changing that is never easy. He doesn't want to be alone anymore, but on the other hand, will he lose everything he's worked so hard to achieve, if he does open that closet? It's not an easy situation. Mike is the guy who want's and dreams of his Prince Charming but is too afraid to look for him. And even more afraid to lose him once found, so he's not really putting an effort into finding his happily ever after. But when he arrives, Mike does everything he can think of to keep from getting hurt again. Then the unthinkable happens and the aftermath threatens Tom and Mike's new and a bit tenuous relationship. 🔊 How did he break apart the puzzle of his soul when he'd finally put all the pieces together? The second part of the book deals with the aftermath and the ensuing trial. This had more of Executive Office feel to it than the first part of the book. It was political, intricate and filled with intrigue. While it was interesting it was not my favourite part of the book. It felt too detailed at times and I kept wishing the story to move along just a little bit quicker. I wanted to know all of the juicy stuff; the who, what, where and when. You just knew that something fishy was going on and wanted to get to the bottom of it. Tal Bauer writes incredibly well developed books. The plots, the characters, the details and knowledge and insight are amazing. Everything about them, the details are all so credible, you believe the story he tells you. They are also very political. So my one major issue with this book is that I don't buy that Tom was appointed as the judge for the trial against Kryukov. First of all, he was on location and witnessed Kryukov on the scene. Secondly I do not believe for one second that cases like these, with that kind of scrutiny and importance - internationally so, will be handed to a new judge - a judge nicknamed the baby judge. - sorry, but I don't buy it. Tom is also supposed to advocate for justice, and following the law to the letter, so him not disclosing he was a witness and recusing himself doesn't fit with his personality. I was very curious to see how Joel Leslie would tackle this book. I've never listened to him narrating this kind of book, the more serious and mystery/thriller trope. 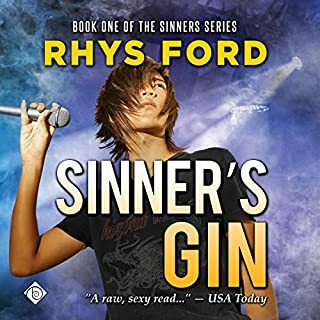 I’m more used to him narrating light hearted and humours, contemporary romance stories – which he excels at I might add. I love listening to Joel Leslie, he is a wonderful narrator, but I'm not sure this is his genre. 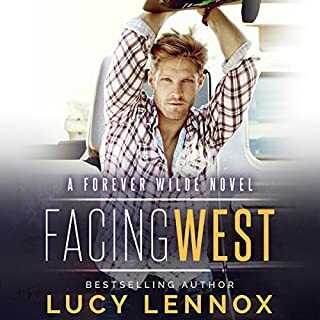 I didn’t really feel quite natural or effortless and to me his voices for the characters didn’t quite match the personalities or feel to the book. However, that might be just me, and you’ll like it just fine. So while I do love listening to Joel Leslie, I don't think he was the best choice for this book. 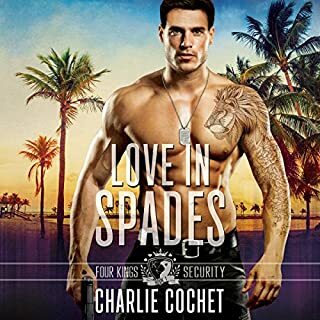 The book ends with a solid HEA, but there are doors open for a series, and I guess only time will tell if this is all we see of these men and their friends and colleagues. A copy of this book was generously provided by the narrator in exchange for an honest review for Love Bytes. I absolutely loved the book Hush and have read it multiple times. 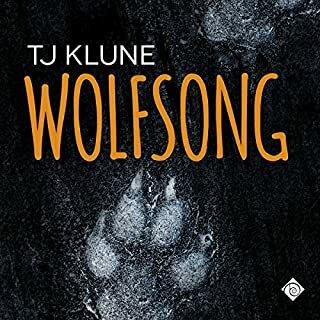 Recommend it to family and friends so I was super excited when I heard it was going to be made into an audiobook. Joel Leslie has done another amazing job with Mike and Tom. 🙌🏻🙌🏻🙌🏻 Simply amazing. Man I had no clue what I was in for with this book. I have never read anything by Tal Bauer. I got this just because Joel Leslie being the narrator. This book has it all. Action, drama, romance, angst, sweetness. This is a very long audiobook but Joel kept me enthralled the whole time. 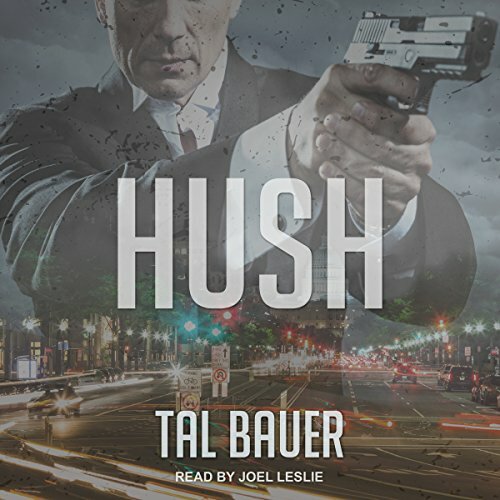 I'm a huge fan of Tal Bauer and have read Hush several times. When I saw it was available on audible I couldn't resist. Joel Leslie's narration enhanced this great book. His ability to embody different characters is above par. I can't wait for the next collaboration between Bauer and Leslie. 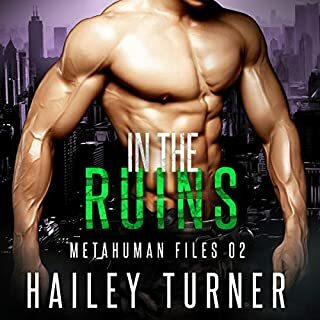 If you haven't yet read Tal's brilliant political thriller disguised as a fantastic MM romance, you're in for an absolute treat. Joel Leslie does an incredible job bringing these characters, with their myriad of accents, to life and imbibes a nuanced sense of urgency that critically matches the fast pace of this story. Highly, highly recommended! This book is everything that I want in a story. Hush is well thought out and smart. I has so many layers and i would read it again and again. I am a big fan of Joel Leslie and he made this book come alive. This story is not just a throw away it is a lesson. Political and ethical lesson. I am happy I found it. I enjoyed this lengthy listen, and would definitely like to know more about judge Brewer and “his” Marshal. I like the character building, the coming out story, and the suspense. The court scenes were well done (I’m not usually into court dialogues, but this was well written, I thought). However, there were times where the main characters were engaged in long and angsty monologues that could have been shortened and not as repetitive. Would like to read other works by this author. I have never left a review for a book - and I have listened to a lot!!!!! But this book, this author, are amazing. I listened to the whole book in two days - I couldn't stop. I really HOPE to read another one by this author. Even better, a continuation! It really addressed what I had gone through struggling with coming out, and the HIV issues. I was living in San Francisco at the time. REALLY hit home. It also addressed dealing with being Gay in the public eye - I was as well. Excellent book!! I'd heard good things about this book and the narrator, but I've learned the lesson that 'its all about taste', here. One of my biggest bugbears with books, no matter the genre, is the internal monologue. Nothing can turn me off a book as quickly as ten pages of drivel about a character's backstory and them wondering about the if's, but's, and why's of where his life went wrong. To make things worse, a lot of the content is then cut and pasted later in the book as the character charts their growth from 'bad place at the start of the book' to 'happy place'. Long, repetitive internal monologues ruin stories for me. I eye-roll so hard I get a look at my own brain. Authors who do this are just going for word count, and not the fluidity of the storytelling. It's a cheap trick and I don't like it. Therefore HOURS of this book were a struggle for me as I waded through all of the monologues to get to the core of the story. The narration did not help. 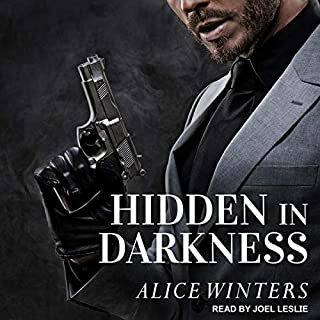 I get that Joel Leslie does really good accents, and I enjoyed his accents, but the main narration took on an overblown, overdramatic tone as if he's reading a soap opera script. It became very grating, especially during those blasted monologues. So, even though I really wanted to like this book, it did not work for me. At last Tal Bauer is on Audio and OMG with who better but Joel Leslie to narrate this complex, intelligent and beautifully written story of political intrigue. Set in Washington D.C within the U.S judicial system and the trial of an international terrorist. It’s also a love story between two totally different men who find each other at the right time in their lives. Tal’s attention to detail and research, particularly into the LBGTQ history totally floored me. I remember reading this book first about 8 months ago and being brought to tears in parts. Listening to Joel bring Tal’s world to life had me sobbing and I actually ached for what these men when through in the late 80’s early 90’s. I can’t recommend this audiobook enough and I just hope that his other books are going to become available on audio to. 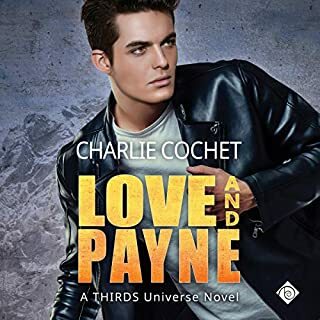 This gay romance story touches some very poignant areas of queer history and portrays a man's struggle with his demons surrounding coming out. Add into this, a lethal plot with a current day story line, highlighting the struggles the gay community faces in Russia. The story further develops into a court room drama, two gay men involved in a battle never previously seen, struggling to maintain the integrity of the judicial system, one man desperately protecting the other while his lover tries to keep their relationship private in a very public environment, meanwhile the world going crazy around them. This book was fast paced from the get go! I could not stop listening to it. Narrator Joel Leslie is very good with lots of voice changes. I will listen to this author again. Thank you. I enjoyed this book better than I have many other books and it has many good parts to enjoy. 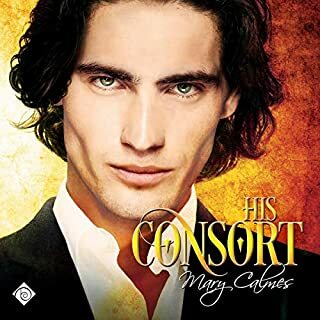 The court scenes are well written the love story is very good without being too descriptive, I thought the author gave it just the right perspective and there were a few surprises in the end. A thoroughly well written book. I hope the author writes more books in the same vein, not just one more but many. 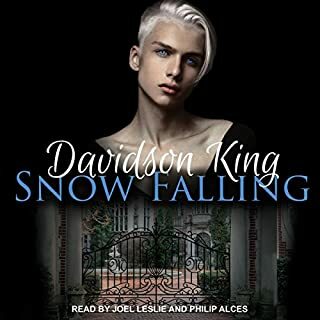 There’s audio narration, and then there’s Joel Leslie’s audio narration and the author/audio combination here was simply sublime. This was a long listen but I was completely immersed in the story during the whole tale. Leslie’s range of accents was again showcased here (although I wasn’t quite as keen on Kris’s voice as I was of Etta Mae’s!) and the non-dialogue elements were just as good and moved the story along at the right pace. A brilliant listen, worth of revisiting in the future. I don’t know what to say to do justice to this wonderful book. Joel Leslie took me on a magnificent journey through love, Political intrigue and spies. It was so hard to stop listening when real life pulled me away. It’s for books like these that I wish I could give a higher rating than 5 stars. Definitely one I’ll listen to over and over again. Hard to stay with this book unless you want to use it to go asleep.would just write this off as a try to write a pono book but it fails in that respect also.